VIZ Media starts off September with a special NARUTO release promotion through VIZManga.com and the VIZ Manga App for the Apple iPad™, iPhone™ and iPod™ touch. NARUTO Vol. 46 is available now, Vol. 47 launches today, and a new volume of NARUTO (volumes 48-51) will be available each day thereafter. On Tuesday, September 6th, NARUTO Volume 52 will debut DAY-AND-DATE with its print counterpart! Created by Masashi Kishimoto in 1999, NARUTO (rated ‘T’ for Teens) quickly became Japan’s most popular ninja manga targeting tweens and teens and has sold more than 85 million copies to-date. 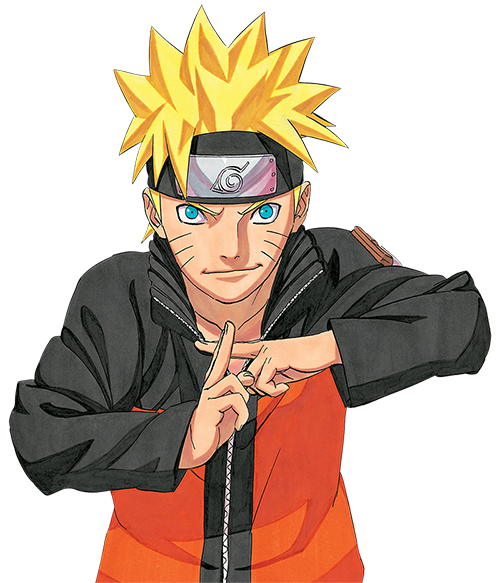 NARUTO is also one of the most popular anime/manga properties in North America. The NARUTO manga and animated series depict the adventures of a young boy named Uzumaki Naruto who trains to become a ninja. Naruto, cursed with the spirit of the nine-tailed fox demon sealed within his body, is forced to live a bullied life discriminated against by his fellow villagers. But Naruto is resilient and undaunted and his determination often inspires those around him. Through the adventures, the young ninja learns the importance of friendship, teamwork, loyalty, hard work, creativity, ingenuity and right vs. wrong. More information on NARUTO is available at www.NARUTO.com. NARUTO Vol. 52 sees a Cell Seven reunion as Sasuke, Sakura and Naruto finally meet and the former classmates' complicated past gives way to a violent and unsure future. Naruto realizes he must eventually battle Sasuke one-on-one...to the death! But with Sasuke and his dark allies bent on complete destruction, and political intrigue in the villages, will the powerful Allied Shinobi Forces allow the two "friends" to meet in battle?! BLACK BIRD Vol. 10 – available a day earlier than the print counterpart! VIZ Media's digital manga platform continues to expand access for fans in North America to the world's best manga. Starting with the VIZ Manga app (the #1 app for reading manga on the iPad, iPhone and iPod touch) in 2010, the recently launched VIZManga.com is now a leading online destination for reading manga on desktop/laptop computers and on Android-powered devices with built-in web browsers. With one account, registered users can select from nearly 400 volumes across 40+ series and then enjoy their purchases through even more devices than ever.